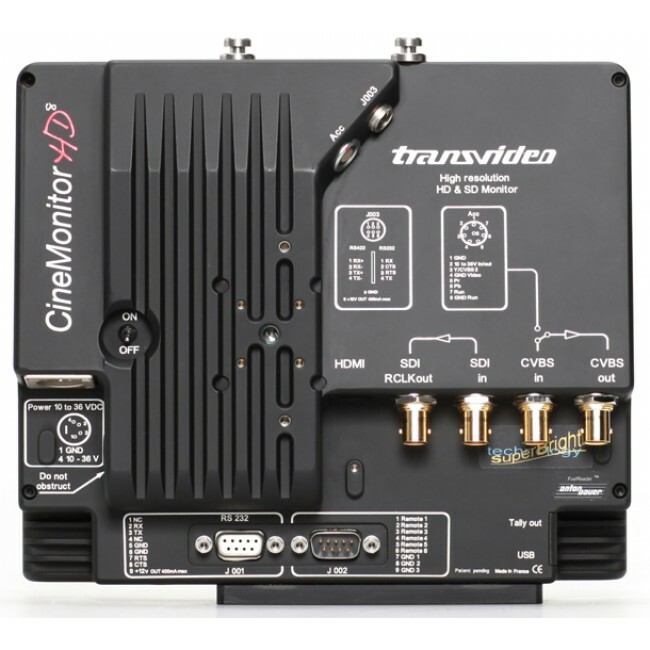 CineMonitor HD 6" and CineMonitor HD 8"
The LensReader™ displays in real time the key metadata of /i and LDS lenses focus with depth of field and hyperfocal point, iris, zoom (if any). The AvengerLeveler™ (the original VirtualHorizon) is a color coded electronic leveler with several renditions, adjustable sensitivity and direction. 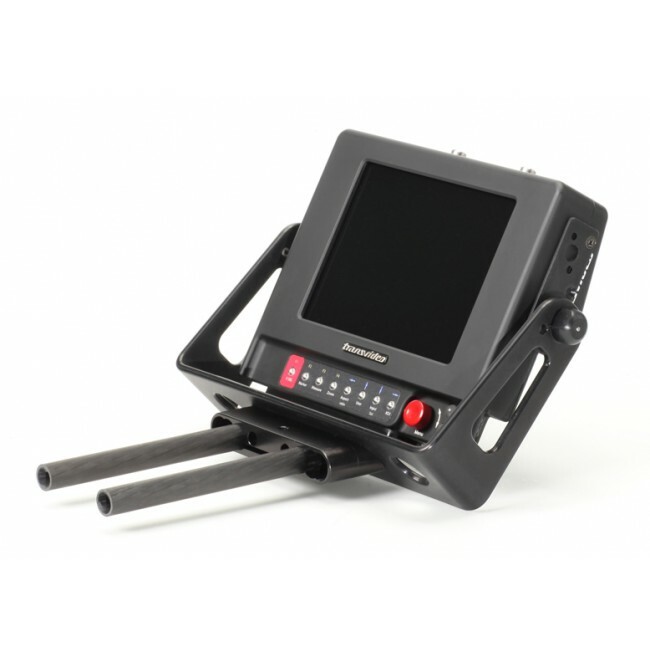 This unprecedented precision tool for the Steadicam® world. The leveler is driven by a built-in sensor or an external sensor such as the Betz-Tools external bubble level. The optional VirtualHorizon2 is gyrostabilized, featuring compensation of acceleration and shocks. The optional VirtualHorizon3 features the same stability of VirtualHorizon2, plus the freedom of wireless via Bluetooth to the monitor. 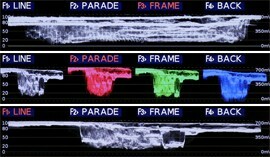 Shows a line representation of the picture, in line mode (Y, R, G or B component) or parade mode (RGB, GBR, YRGB, YPrPb). 3 sizes: small / medium / full screen. Scopes the whole frame, 12 lines or 1 specific line. A frame representation of Y component is also available. Shows a statistical representation of luminance as a bargraph, with adjustable scale. 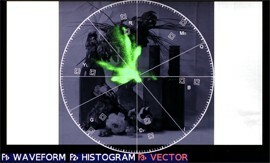 Shows a representation of the color vectors. Black and overexposure limits, and also other intermediate safety levels can be used to adjust the camera and lens. The user may adjust the clipping as well as maximum and minimum levels. The limits are displayed in false color on the image and/or in the measurement tools. 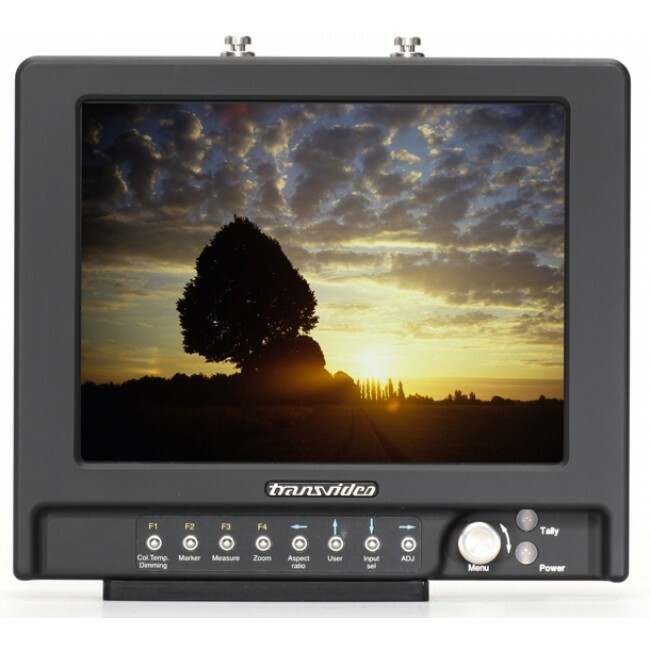 Exposure control The monitor also features a specific mode to enhance the high-lights and low-lights details. 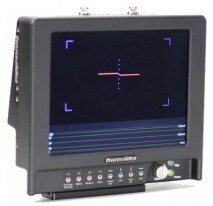 Based on a high performance multi dimensional digital filter, the focus helper offers 10 levels and 9 colors, helping to get a sharp focus in difficult situations. The zoom mode displays the picture in its native resolution (pixel to pixel) and helps to have a sharp focus. 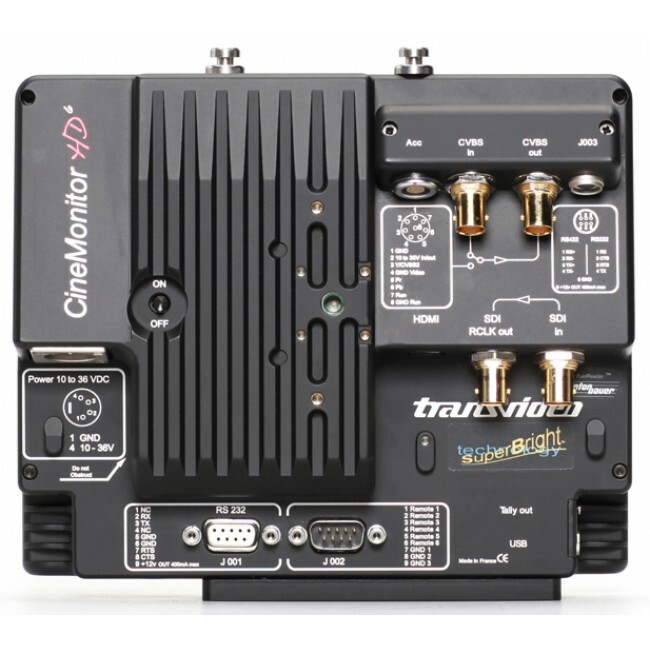 Up to 3 Tally may be displayed simultaneously: 2 through external command and 1 through the camera REC/STOP command embedded in the SDI. 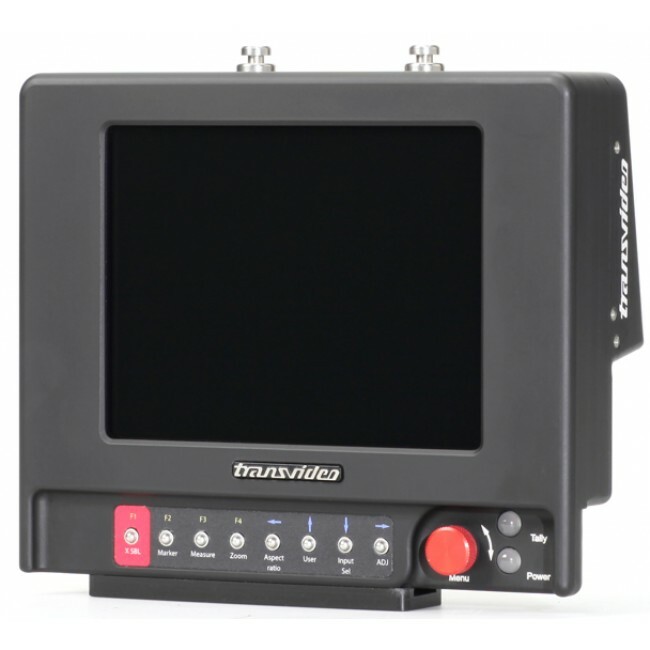 Displays a colored LED and/or an on-screen Tally (frameline, "REC" style, or a big "ON AIR" in place of the measurements).